In January, Resilinc reported on the potential El Niño and its impacts on the global supply chain. In the last few months, we’ve started to see weather reports, possibly El Niño related events, that can have significant impacts to industry supply chains such as electronics and life sciences. As you will see, impacts in one industry can impact industries not typically viewed as related or interdependent. Below is an analysis of potential supply chain impacts to electronics, automotive, and life sciences industries, as well as upstream mining and agriculture industries. One of the supply chain risk impacts of an El Niño is a fluctuation in precipitation, specifically areas that normally have a high rain fall experience droughts. In these high precipitation areas, water is often used to generate electricity, which is often rationed during the weather phenomenon. A recent example or rationing and impact on the supply chain is the 2014 drought that impacted glove manufacturing in Southeast Asia (Choong, 2014). In the last couple of months, Resilinc has reported on the two troublesome drought situations in Taiwan and Brazil, which is creating water and electricity rationing that is ultimately impacting electronic component production and associated high-purity chemicals that are processed in the effected regions. 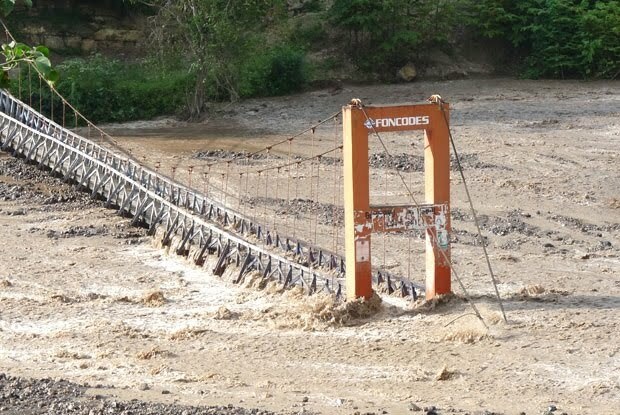 In addition, some electronics components and plating chemicals which depend on raw materials mined in Peru (see Mining below) are at higher disruption risk due to increased probability of landslides in areas that can expect higher than normal precipitation. Finally, potential El Niño –related decreases in harvests of corn (which is used to produce chemicals used in the electronics industry such as citric acid, phosphoric acid, nitric acid, and potassium hydroxide), may impact electronic industry component supplies and prices (see Agriculture below). Automotive components produced in Taiwan and Brazil may also be impacted by the aforementioned potential water and electricity issues resulting from the higher probability of drought conditions. Also, some components sourced in Peru (see Mining below), are at higher risk due to increased probability of landslides in areas that can expect higher than normal precipitation. Similarly, biologic buffers, sucrose, and other high purity chemicals used in pharmaceuticals may be effected by drought-related water and electricity rationing. Further, El Niño impacts to the agriculture industry (see Agriculture below) which provides many of the raw materials used to create ingredients contained in pharmaceuticals, may create supply chain shortages and price pressures. Potentially impacted raw materials range from seaweed (and downstream agar production) to fish meal (and its substitutes soy, corn, and lysine). Peru is a major global supplier of precious metals, specifically copper, silver, and gold. During years of El Niño, Peru receives more rain than normal, which makes mining areas susceptible to landslides (Taj, 2015). This could impact the availability of some key metals used in electronic components and plating chemicals and automotive components. Many chemicals and raw materials are derived from agricultural products. This year, corn prices are rising due to less acreage being planted, which ultimately impacts downstream products (USDA, 2015), including even electronics. It often surprises many to learn that citric acid is produced by fermenting corn, rather than from citrus. However, in years of low corn harvests, such as those potentially impacted by an El Niño event, citric acid is one of the first materials impacted by price increases. Further, corn crops consumes approximately half of all the fertilizers produced globally. With less corn being planted, upstream materials to fertilizers like phosphoric acid and potassium hydroxide should have a stable supply. When it comes to media, whether cell culture or plated, the life sciences supply chain is tightly dependent upon good harvests. For example, there are current concerns that El Niño is causing the water temperatures to rise in the Philippines, which could impact the seaweed harvests. While this may seem unrelated to life science, carrageenan seaweed, the primary seaweed grown in the Philippines, is used in the production of agar. If the seaweed harvests are impacted, then downstream agar supplies are also at risk. (Lowe, 2015). Finally, life sciences industry products that use Potassium, Phosphate, and Nitrogen-based materials could also be impacted by corn production. Corn crops consumes approximately half of all the fertilizers produced globally. With less corn being planted, upstream materials to fertilizers like phosphoric acid, potassium hydroxide, and urea should have a stable supply.